Branding, Packaging, Website and Photography. 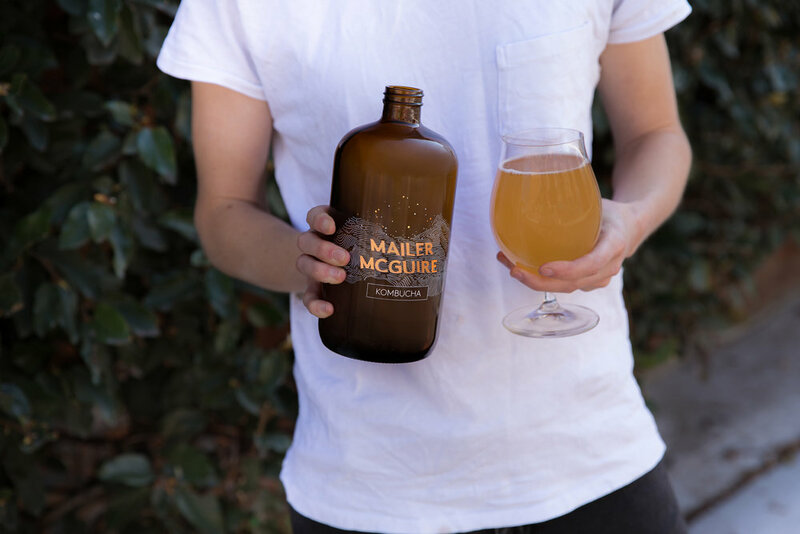 Mailer McGuire is a tea-based Kombucha that was hatched on a cycling and camping trip from Vancouver to San Fransisco. 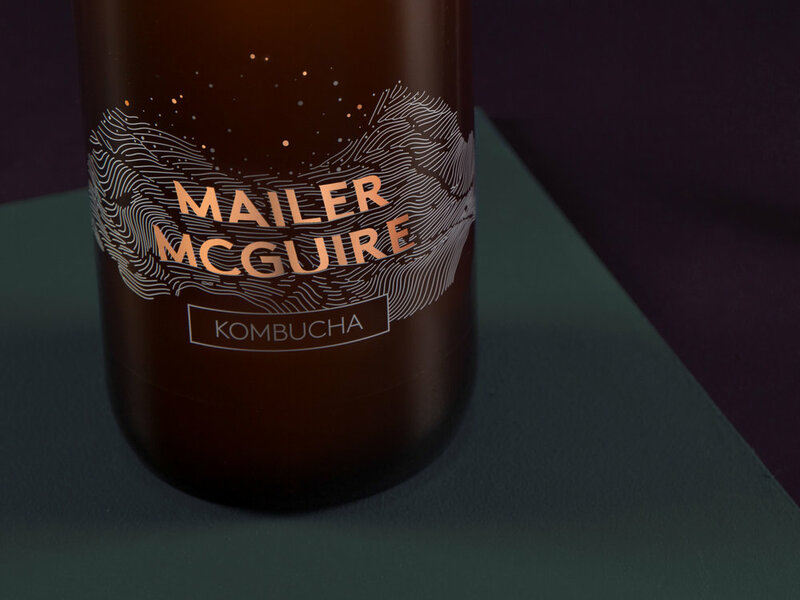 The branding identity needed to capture a sense of movement, referencing exploration and the outdoors. In creating the illustration I took inspiration from map contours and the mountains were the tea is sourced. 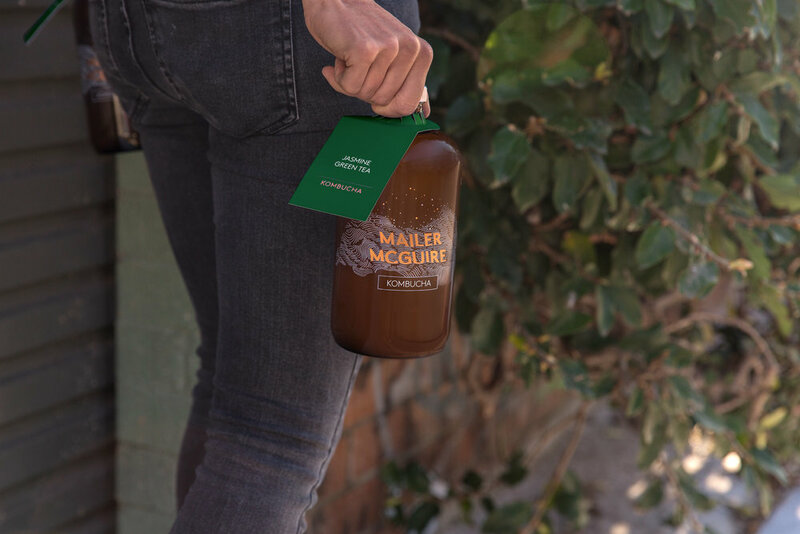 Mailer McGuire is on tap and in bottles in bars and cafes in Sydney, so celebrating the local area and community was a big focus for one of the lifestyle product photo shoots. With a brewery located around the corner from the iconic May Lane in St Peters, the laneways became one of the natural locations.